The Virgo III Groups form a very obvious line of galaxy groups on the left side of the Virgo cluster. The gravitational pull of the Virgo cluster has stretched this collection of groups into a long chain of galaxies which extends across 40 million light years of space. Below - three galaxies in the Virgo III groups. NGC 5248 (left) is a spiral galaxy and one of the brightest galaxies in this region. NGC 5363 (centre) is a lenticular galaxy with a faint lane of dust passing through the middle of it. 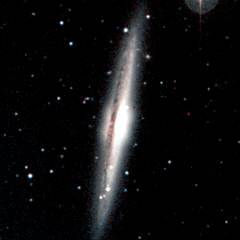 NGC 5364 (right) is a spiral galaxy with very long spiral arms. This is a list of the main Virgo III Groups. 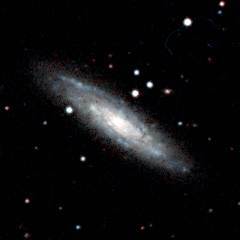 The largest group here is the NGC 5746 group which lies next to the NGC 5638 Group and both groups could be considered to be one large group with twenty major galaxies. selection of the sample and identification of groups. Astrophys J, 543, 178.
groups. Astron Astrophys Supp, 100, 47. 80 Mpc, Astron and Astrophys Supp, 93, 211. Tully R, (1982), The Local Supercluster, Astrophys J, 257, 389. Below - three galaxies in the Virgo III groups. 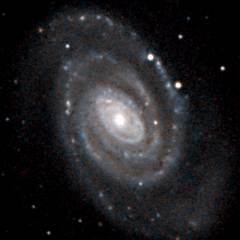 NGC 5566 (left) is a barred spiral galaxy with a central ring of stars and long, open spiral arms. 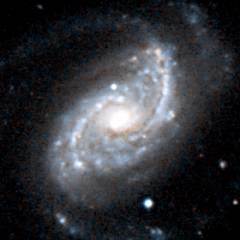 NGC 5577 (centre) is a much more normal spiral galaxy. 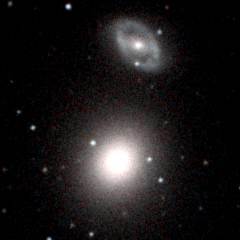 NGC 5638 (right) is a large elliptical galaxy. Above it is NGC 5636 - a spiral galaxy consisting of a central bar surrounded by a ring of stars. 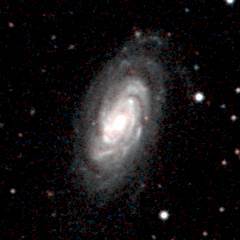 Below - three more galaxies in the Virgo III groups. 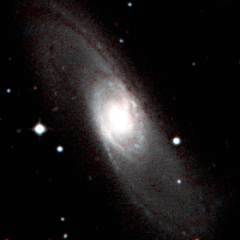 NGC 5740 (left) is a normal spiral galaxy in the NGC 5746 group. NGC 5746 (centre) is the brightest galaxy in this group and probably the largest galaxy among all of the Virgo III groups. 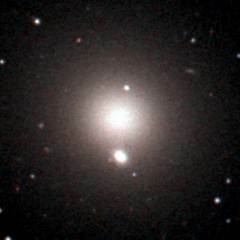 NGC 5846 (right) is a large elliptical galaxy. 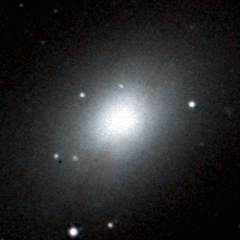 Below it, in the same field of view, is a much smaller elliptical galaxy - NGC5846A.